Are you ready to experience the thrill of kiteboarding for yourself? 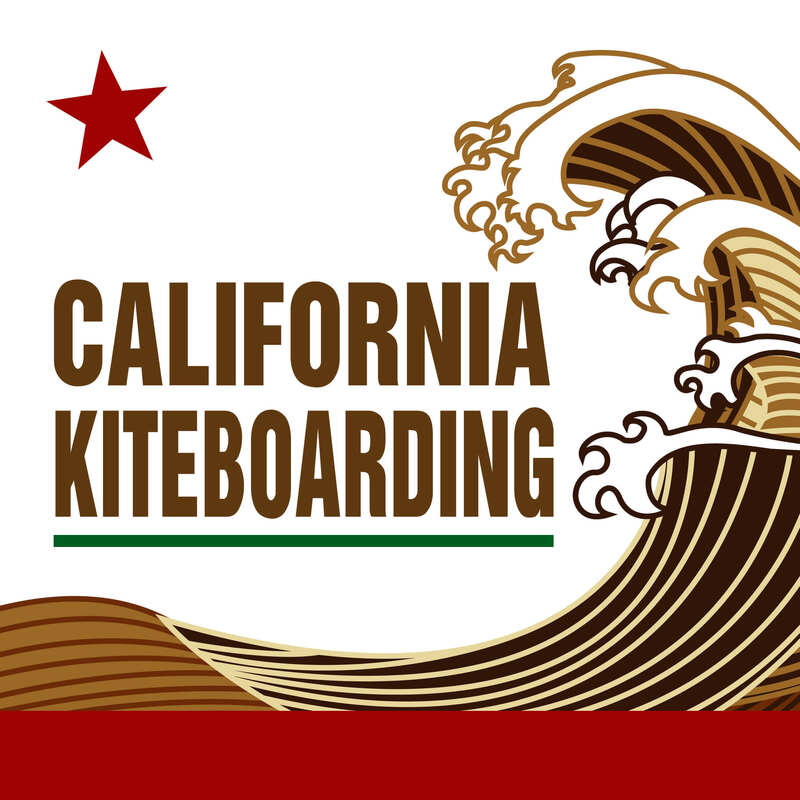 California Kiteboarding offers kiteboarding lessons for every level of experience, from beginners who have never dipped a toe in the water to advanced kiteboarders looking to improve their skills with professional instruction. 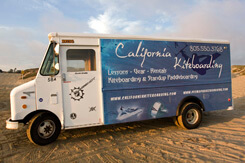 We have over 7 years experience giving lessons and working with kiteboarders. We are IKO certified, promising a fun and safe learning experience with a professionally trained instructor. 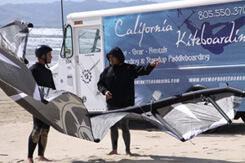 A lesson with an IKO-certified instructor is the safest and most efficient way to learn to kiteboard. We follow an IKO-designed structured lesson plan that can be tailored to meet your specific needs. IKO has identified specific skill levels to progress through as you learn. 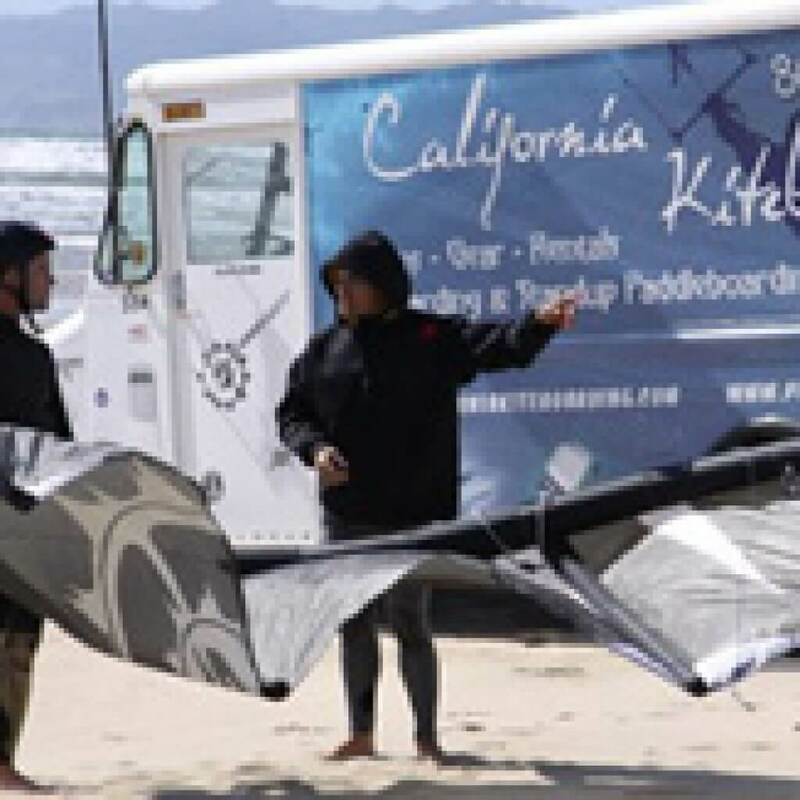 These are used internationally to identify any kiteboarder’s competency, and California Kiteboarding can guide you through each level. You’ll start with the basics: learning to carry and set up the lines and kite, determining wind direction, and flying and stopping a small training kite. And of course, you’ll learn important safety rules like wearing the kite leash at all times. Then, you’ll move on to positioning and launching the kite (with instructor assistant), twisting and untwisting the lines while the kite flies, and recovering and landing the kite. Soon, you’ll be hooking your kite to a harness, using the kite’s power, and launching the kite unassisted. You’ll also start to identify potential wind obstacles that signify unsafe kiting conditions. As you progress, you’ll become more comfortable controlling the kite while you’re in the water and learn to set up, fly, and adjust a standard 4-line kite. And as you achieve Independent Kiteboarder status, you’ll master more advanced maneuvers to control the kite and your course and start working on jumps and tricks. Learn the skills to control a land-based power kite. You will be skiing down the beach powered by a kite. Learn the safety of kiteboarding and achieve the self confidence of controlling a POWERED kite of any size. Includes land and water training with basic water starts, wind theory, equipment setup/maintenance, body dragging, & water starts. We accept cash or check. For credit cards, there will be a +3% fee. 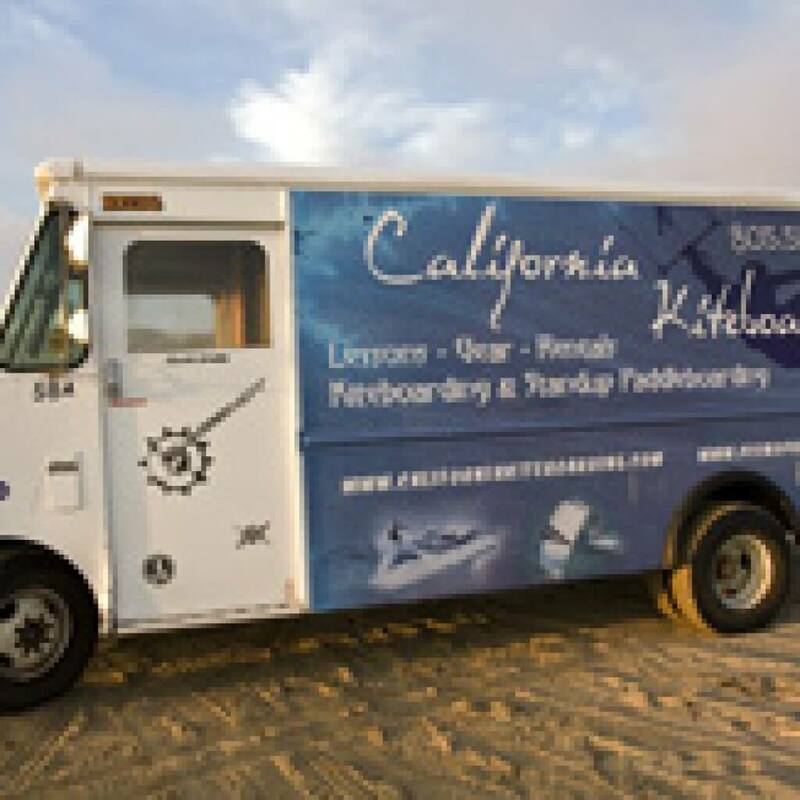 Kiteboarding Questions or Want to Book a Lesson? Ask any experience kiteboarder—lessons are CRUCIAL to get into the sport safely and successfully. Kiteboarding is a highly technical and extreme sport. Put it this way—a kite can boost a 250-pound kiteboarder 40-50 feet in the air. You’ll definitely want some quality instruction before you go that high! Trying to kiteboard without a lesson can also put others at risk and can lead to serious injury or death. 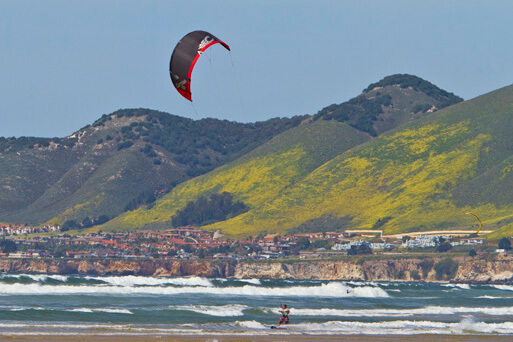 Instead, one or two lessons with California Kiteboarding will prepare you to fly across the waves safely and confidently. 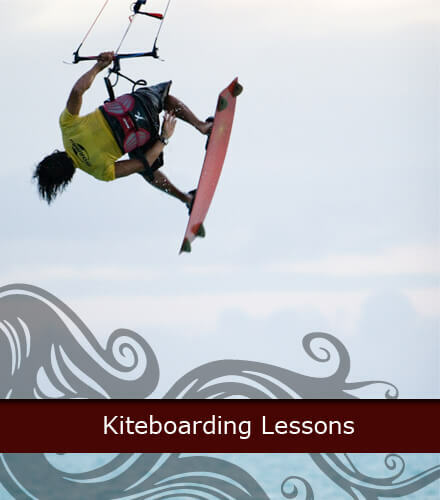 In your lesson, you’ll learn important safety tips, how to handle and care for your equipment properly, and how to control a powered kite—everything you need to know to become a true kiteboarder and get the most out of this exciting, fast-growing sport. Lessons are also an excellent way to save time and money. Without an instructor guiding you, there’s no telling how much time you’ll spend on the beach before you manage to launch successfully and glide across the water. Talk about frustrating! But by the end of a three-hour lesson, you’ll have the skills and confidence to get in the water safely. Plus, this is your chance to try out different types and sizes of kites before investing in one yourself. 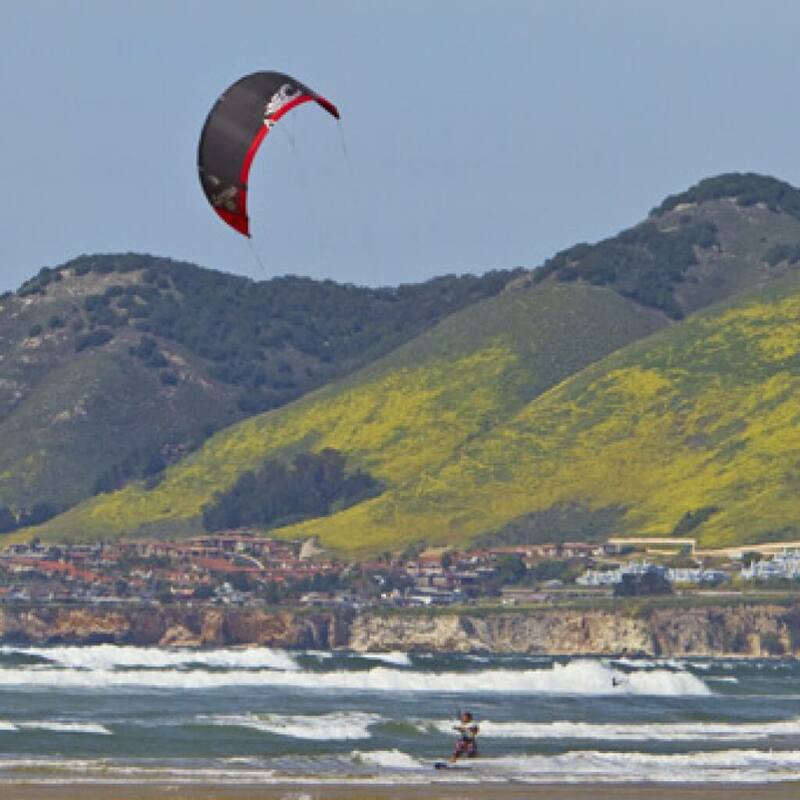 Finally, with California Kiteboarding, you’ll learn about kiteboarding culture on the central coast and other great spots to try out your new skills. **24 Hour Cancellation Policy – A $50 Non-Refundable deposit required to reserve lesson.